This Pamplin Media Group website services the regional county sheriffs’ departments, listing the most up-to-date property foreclosures, by county. Foreclosure notices, including Sheriff’s Sales (judicial) and Trustee’s Sales (non-judicial), are required by law, to inform the public that a creditor is auctioning a specific property. Pamplin Media Group is the leading provider of foreclosure notices in Oregon. 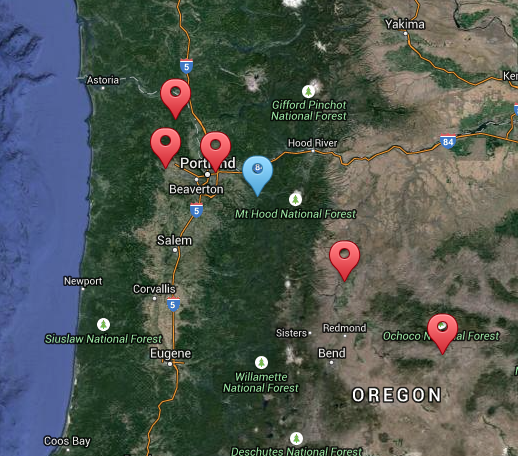 We publish qualified newspapers of general circulation in eight Oregon counties, and have print distribution statewide. Those counties are: Multnomah, Washington, Clackamas, Columbia, Marion, Yamhill, Jefferson and Crook. This website includes maps and listings of both judicial and non-judicial auctions, providing investors and other interested persons, necessary details required for successful participation in the property sale process. Begin your search by browsing under the “Listings” menu. To find more information about each county, please use the “County Facts” menu. Meet and learn more about the Sheriff of each County by clicking on their photos.